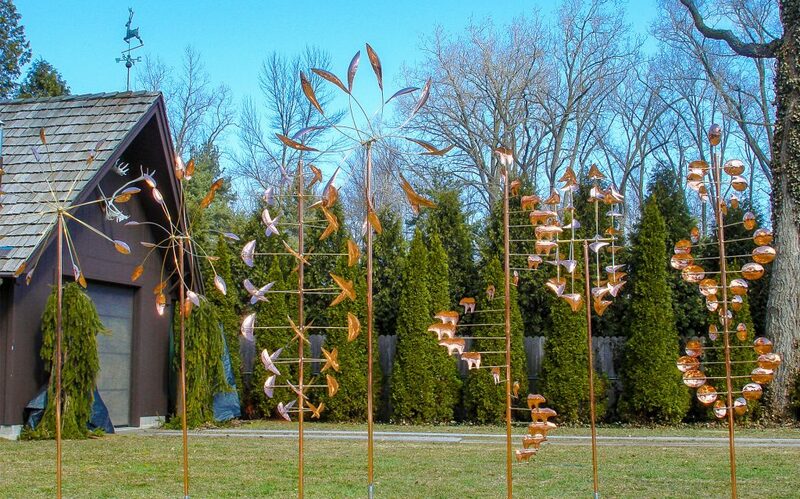 Each wind sculpture is a piece of art, hand crafted in Michigan. 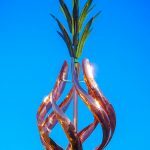 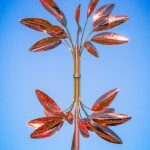 They are completely hand-cut and bent from copper, brass, and stainless steel. 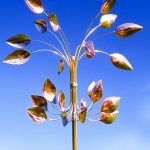 Each wind sculpture will give years of enjoyment. 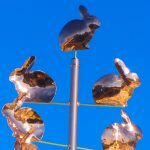 They are completely weatherproof and can remain outdoors year round. 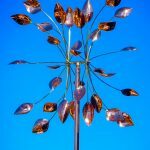 The sculptures are available in bright or patina finishes. 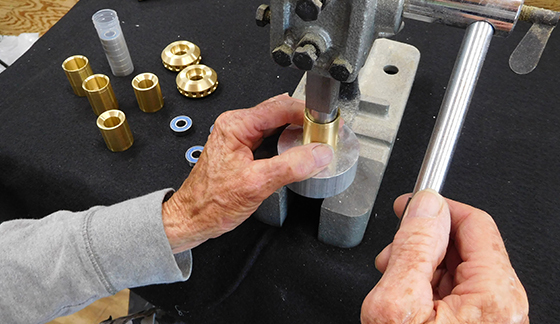 All parts of the sculpture are double hand buffed and ultra-sonically cleaned before the final finish is applied. 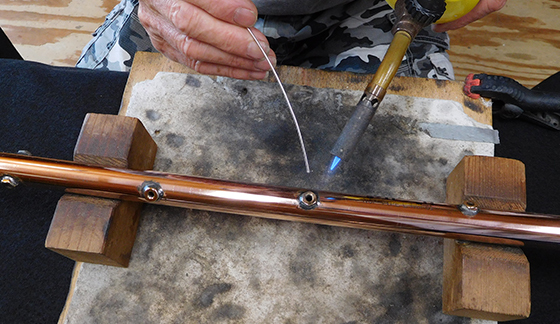 A triple application of a clear coating gives a bright look to the copper and brass that will last for years. 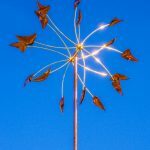 Jere Brunette has over 40 years of experience in metallurgy which he drew upon to create these beautiful wind sculptures. 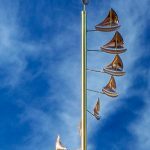 Using his artistic ability and detailed craftsmanship, Jere has designed and created over 30 different types of wind sculptures. 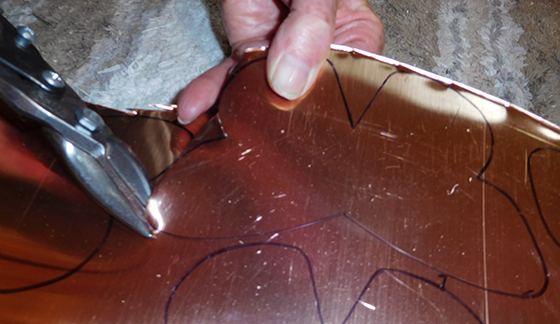 Each piece is identified by the artist’s code. 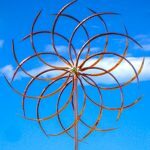 These kinetic shapes are extremely responsive to even the slightest breeze. 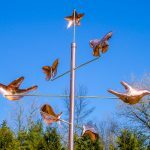 The silent movement of the wind sculptures provides a tranquil, relaxing atmosphere and is an elegant decorative piece of art that will make a wonderful addition to your yard or garden. 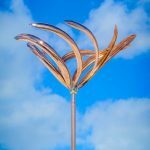 Wind sculptures can be designed and made in custom heights and are easily disassembled for shipping and storage. 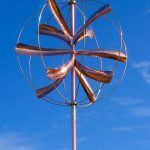 Jere’s wind sculptures can be seen throughout the United States, Canada, Europe, Australia, and New Zealand. 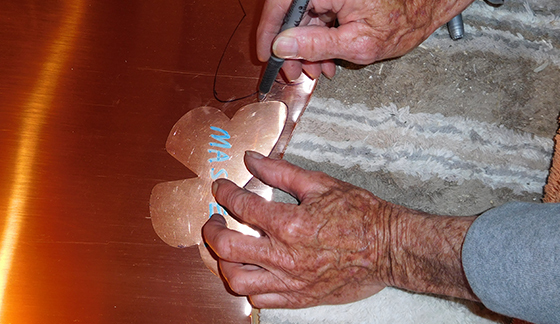 His artwork has also been displayed at Midland Center for the Arts located in Midland, Michigan. 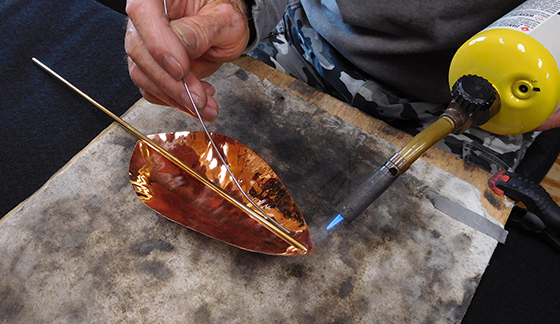 Using brass, copper, and stainless steel, he forms each piece by hand. 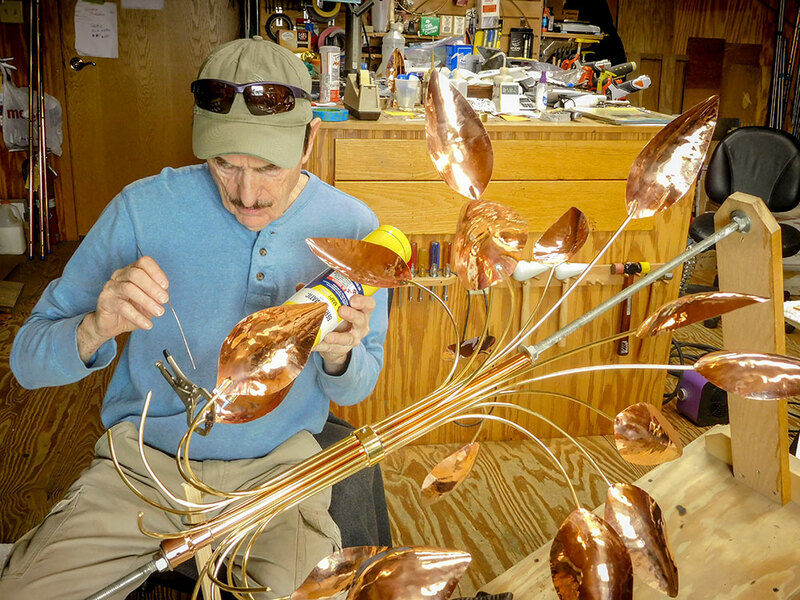 It takes many hours of molding, bending, and soldering to make each wind sculpture. 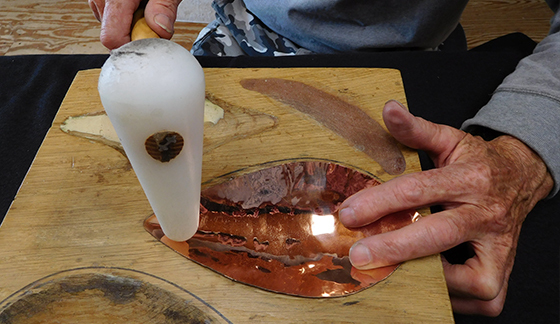 Next the pieces are buffed and polished to a bright finish. 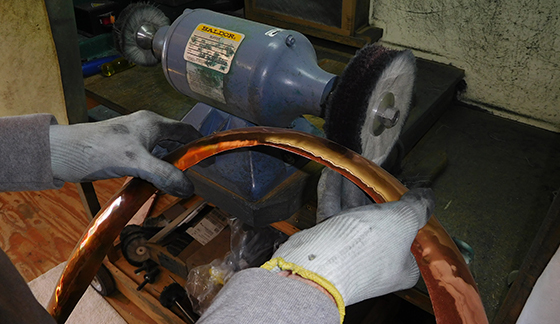 Finally, three coats of a tough, clear finish protect the metals from weather and prevent the natural coloration also known as patina. 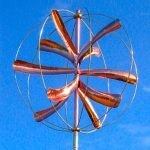 Your wind sculpture will retain its brilliance for many years.